I saw an idea using "Magic Jelly Beans & a Lollipop Garden"
here at Beauty and Bedlam. I was really inspired and thought it was a cool concept. I knew I had to adapt the idea into an edible craft treat. Give them a wish and a kiss. Now they are MAGIC jelly beans. Next, mix up your "soil". chocolate wafer cookies. I just used what I had on hand. Then, put it into your "pots"
I did put a piece of wax paper over the bottom hole in the pot. But only fill half way! Now, make a quick wish, and blow them a kiss. Then put more soil on top of your beans. Add some "dirt" which might be more crushed Oreos. to rest overnight and see what MAGICALLY APPEARS! Before morning, you will help make the "MAGIC"
the newly grown grass and a fun lollipop or two on top!!! see using a chocolate cupcake in place of the pudding. I hope you are inspired to create a new family tradition. But this week, that is where they are going to stay. my normal "cry at the Hallmark commercial"
looking at all the tea time photos of Sophia Rose. real little. Those memories flooded me with emotion. I collected some of my favorites for today. There were hundreds! Here is a trip down memory lane for Tea Party Tuesday. I guess this post is more for me that you so I hope you don't mind! and continues to be a place of joy now. house was in the bathroom at the Mad Hatter! 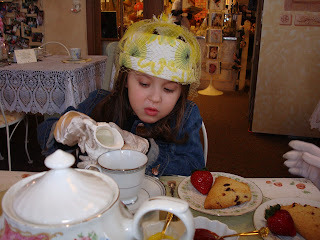 How about a Tea Party with Big Bird? with his teacup and sweets! 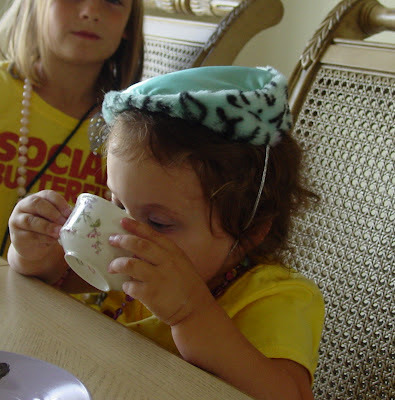 A Diva in Tea Training. 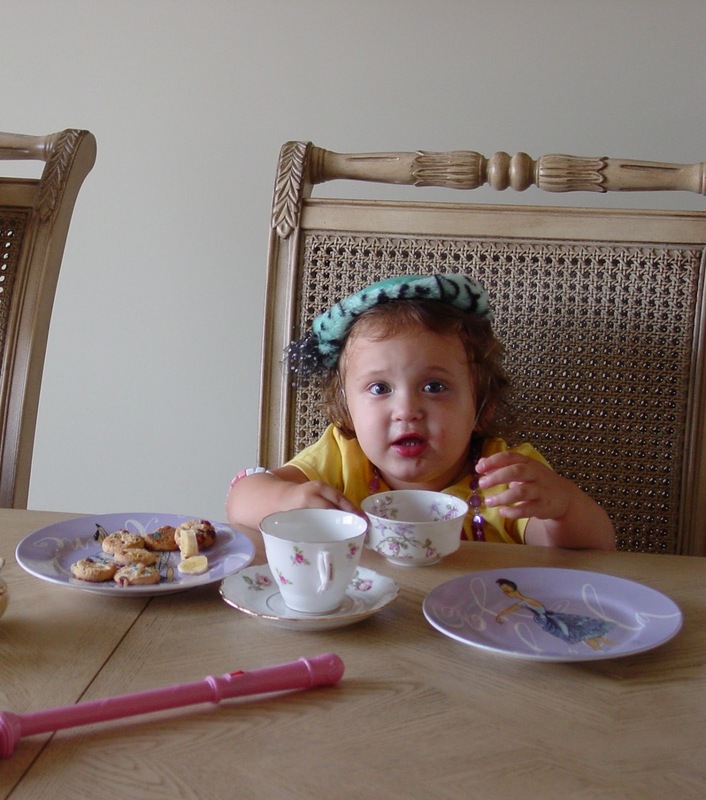 I was doing for an impromptu Tea Party. The girl in back was a sweet neighbor girl, Libby. She LOVED to come over for tea with Sophia and I. Look at the little Birthday Princess here! The following are pictures of the party we had when she was 4. Her Dad and I served these lovely girls. Here was the Teapot Cake I made. 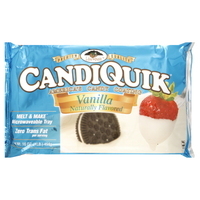 fondant back then. In all honesty, I was so proud! out in his tuxedo, serving his princess! She has a few things to smile about! My lovely likes cream with her tea! Tea time does not have to be fancy all of the time. 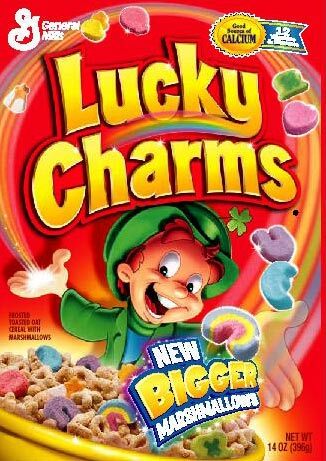 be just what you need to start the day! Tea Party outside with a fun story cubes game! Look Mom..I set up a tea table for YOU! One of our MANY visits to the Mad Hatter. I had SOOOOO many photos of us there! 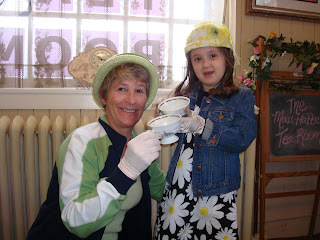 More tea time memories with Nana!! are having "Tea under a Tree" in our front yard. collect the one thing that is most precious to me. which you can find the easy instructions HERE!! cute and had to make them too! anyone has ever said about me. 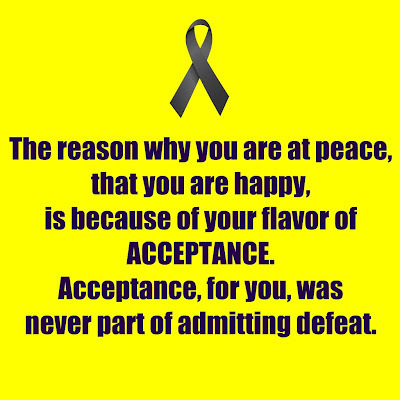 I do like my flavor of acceptance. 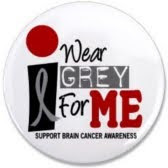 Living with a brain tumor, has it's ups and downs. Or to add the sprinkles for that matter. each day with a cherry on top. 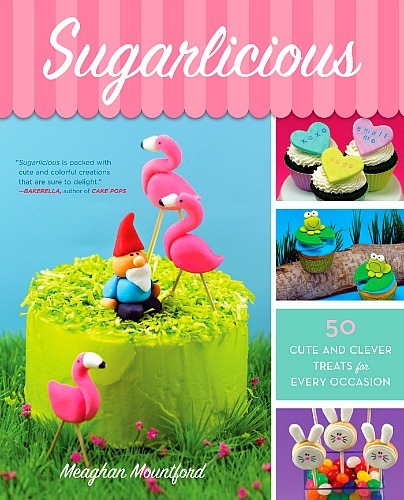 my passions which include creating and writing Sweetology. 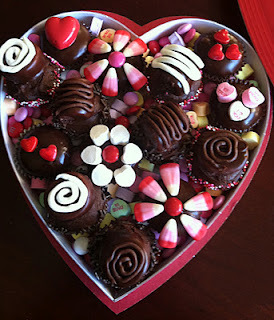 so many other great blogs has really sweetened my life! my love for cupcake art was Melissa at My Cake School. I did to grow my confidence, skills and spirit. I would like to give that to someone else. 1 year Membership just leave a comment below. on Facebook and/or Twitter, each separately. Now, go do something that makes you happy. Susan is a real sweetie who is very talented, just look! Check out her sweet blog and tell her Congrats! who is hosting our Spring Tea this week! knowing not the dangers you face. Happy and whimsy you glide so high. Butterfly, be lost in the deep blue sky." 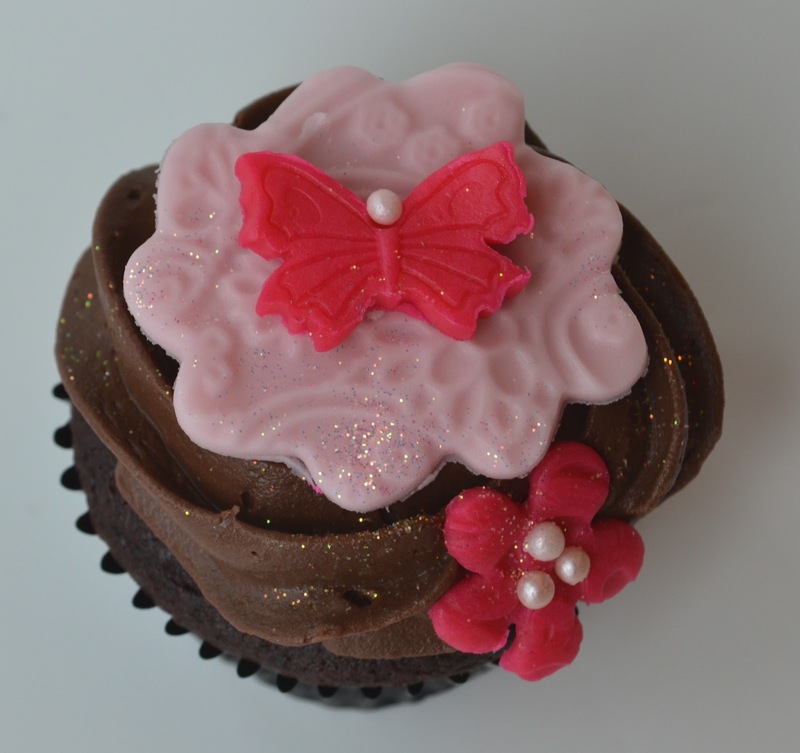 fondant with a delicate fondant butterfly accent. using edible sugar wafer paper and a paper punch. and melt in your tea for a whimsical accent.